Perhaps one of the most iconic images in all of South Park is the four boys, Stan, Kyle, Kenny and Cartman standing at the bus stop. 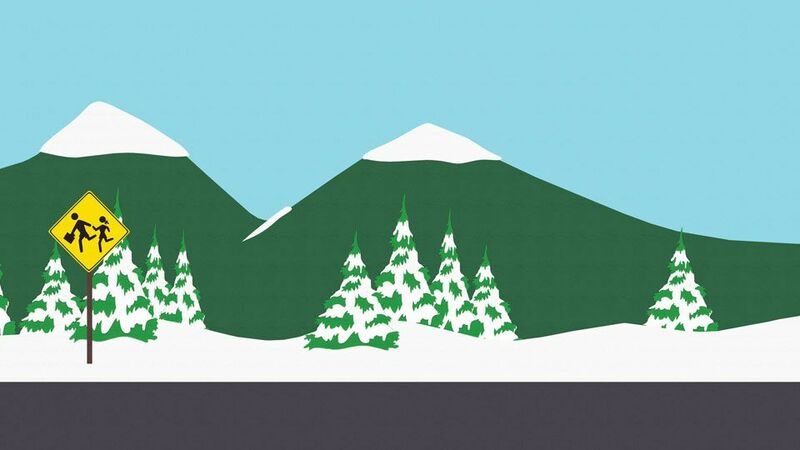 The bus stop was the first location seen in South Park and the opening shot of the series. It is a common location in the show where the boys gather wait for the bus but also serves as a narrative device to introduce plot points. South Park: The Stick of Truth marks the first time the town was actually laid out, the first time we got a look at the definitive location of the bus stop. It is located close to the center of town and down the street from Butters’, Cartman’s, Stan’s, Kyle’s and Kenny’s house in that order; Kenny’s house being the farthest away - across the railroad tracks. Most of the time. the bus stop features the four boys, Stan Kyle Kenny and Cartman but throughout the history of the show there have been times where the lineup has changed. Below are the exceptions when other characters have been seen at the bus stop. In Goth Kids 3: Dawn of the Posers, the bus stop got a complete overhaul. The boys were replaced entirely by the goth kids, Michael, Pete, Henrietta and Firkle. Kenny has died twice at the bus stop: Once in "The Succubus"